It has been reported by the National Labor Relations Board (NLRB) that in the month immediately following the April 14 effective date of its Ambush Election rule that it was taking an average of only 23 days to reach an election. From March 13 to April 13, there were 212 petitions for an election filed with the NLRB, while the period from April 14 to May 14 saw 280 filings, a 32 percent rise. The median time from petition to election for all representation elections held since April 14 was 23 days, rather than the previous 38 days. The NLRB has claimed the makeover of the representation elections rule will modernize and streamline the board's representation case process by shortening the time between a union petition and election. This gives employers' little time to make their case to workers after card signing begins. Most believe that shortening the election timeframe gives unions an unfair leg up. This is the new reality employer must live with. Having quicker elections was the whole purpose behind the union’s push for the rule. The NLRB intended to make organizing easier at the expense of a full and free workplace debate. The rule also puts off employer challenges to voter eligibility issues until after an election is held. In the past there was a 25-day delay that normally occurred between the time a regional director directs an election and the actual election. The new Ambush rule also requires employers to identify disputed issues in a position statement and to add to the list of voter-workers the employer has to submit to the union to now include phone numbers and email addresses, as opposed to just names and addresses. 7) Take affirmative steps to reduce the risk of harassment, favoritism, bullying, retaliation and anything else that would hinder a respectful working environment. Union campaigns are like the Rapture, when that “Day” comes you will not have time to get ready so you better stay ready. So You’ve Reported An Accident To OSHA: What Happens Next, and How Do You Respond? 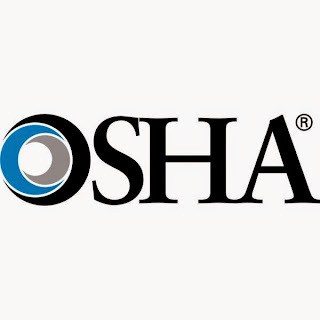 To guide the Occupational Safety and Health Administration in responding to the new requirement to report all in-patient hospitalizations, amputations, and loss of an eye within 24 hours of these events, OSHA has issued its “Interim Enforcement Procedures for New Reporting Requirements under 29 C.F.R. 1904.39.” These Procedures were sent out to the OSHA Regional Administrators and State Designees in anticipation of a large increase in the number of reported accidents in 2015. The Procedures include criteria for “triaging” employers’ reports to determine which reports to respond to with an on-site inspection and which to address through the Agency’s new “Rapid Response Investigation” (RRI) process. The RRI process requires the reporting employer to conduct and submit the results of its own accident investigation to OSHA. According to OSHA, the Procedures are only an “interim” enforcement plan that the Agency will evaluate and adjust based on its experience this year under the new accident reporting rule, 29 CFR §1904.39. To determine whether to conduct an on-site inspection or an RRI, the Interim Enforcement Procedures instruct the OSHA Area Offices to sort the employers’ accident reports into one of three categories. Category 1 is for reports that require an on-site OSHA inspection. For Category 2 reports, the Procedures authorize and encourage the OSHA Area Office to conduct an inspection, but the Area Director is allowed to exercise discretion and decide not to conduct an on-site inspection. An on-site inspection is not warranted for Category 3 reports, but the Area Director will require the employer to submit an accident investigation report explaining how the accident occurred and how such incidents can be prevented in the future. These reported accidents will result in an on-site inspection. For these reported accidents, an inspection may be conducted if a number of the questions below can be answered “yes.” This list is not exhaustive, however, and there may be other criteria particular to the incident that could be considered by the OSHA Area Director. (a) Are employees still being exposed to the conditions underlying the hazards that resulted in the injury or illness? (b) Was the incident the result of a safety program failure such as Permit-Required Confined Spaces (PRCS), Lockout/Tagout (LOTO), Process Safety Management (PSM), etc.? (c) Was the employee exposed to a serious hazard (i.e., explosive materials, combustible dust, falls or heat)? (d) Were temporary workers injured or made ill? (e) Has another government agency (federal, state, or local) made a referral? (f) Does the employer have prior OSHA inspection history? (g) Is there a Whistleblower complaint/inspection pending? (h) Is the employer a Cooperative Program Participant, e.g., VPP, OSHA Strategic partnerships, SHARP or an active Alliance member? (i) Did the incident involve health issues such as chemical exposures, heat stress, etc.? An on-site inspection will not ordinarily occur if the answers to all of the above Category 2 questions are answered “no.” As will be discussed in more detail below, Category 3 cases result in the OSHA Area Office requiring an accident investigation report to be submitted. To help make sure that OSHA obtains enough information to triage the incident into the appropriate Category, the Interim Enforcement Procedures include a detailed questionnaire of nearly 30 questions that the OSHA official taking the employer’s report is to go over with the employer during the initial telephone call. See attached Appendix 1 from the Procedures. These questions go into much greater depth about the injured employee, the workplace, and the incident (including whether there have been similar accidents or near misses) than the eight items of information that the OSHA regulation itself requires to be reported. See 29 C.F.R. §1904.39(b)(2). If OSHA determines that an on-site inspection of the reporting employer is warranted, the Interim Enforcement Procedures state that the inspection “will be initiated as soon as resources permit and will normally be initiated within five working days” of the employer reporting the incident. Though not addressed in the Procedures, the scope of the inspection should be limited to the circumstances of the accident that was reported. But even if the inspection starts out being limited to the scope of the reported accident, it can be broadened if the OSHA Compliance Officer sees or hears about any other hazardous or non-compliant condition during the course of the inspection. If the OSHA Area Director decides not to conduct an on-site inspection, OSHA may initiate a Rapid Response Investigation (RRI) based on the Area Director’s belief that there is a “reasonable basis that a violation or hazard exists.” The Interim Enforcement Procedures explain that for incidents that have been designated for an RRI, a representative from the OSHA Area Office will call the employer contact identified by the employer when the accident was called into OSHA. According to a “script” that the Interim Enforcement Procedures provide for the Area Office call, the employer is to be told to “find out what led to the incident and what safety modifications can you make now to prevent future injuries to other workers.” Employers are also to be directed to investigate the “root causes” of the incident. The OSHA Area Office call is then to be followed up with a faxed letter that asks the employer to “immediately conduct your own investigation into the reported incident and make any necessary changes to avoid further incidents.” The OSHA letter directs the employer to document both its investigation findings and the corrective actions taken in response, and to submit that information to OSHA, either on the employer’s own incident investigation form or on the “Non-Mandatory Incident Investigation” form that OSHA attaches to its letter. Significantly, and as discussed further below, both OSHA’s letter and its attached incident investigation form ask for the employer to investigate and identify the root cause(s) of the accident, which OSHA describes as “both the immediate and the underlying causes of the incident.” OSHA’s form even includes space for witnesses to be identified and for their description of the incident to be documented. In addition, employers must send OSHA documentation showing that the condition that led to the injury has been abated. According to the Interim Enforcement Procedures, OSHA’s telephone call to the employer should take place within one day of OSHA’s receipt of the employer’s initial accident report, and OSHA’s letter should then require the employer to submit the written results of its investigation of the reported incident within the next five days. OSHA recognizes, however, that the employer may ask for an extension of that time period for “complicated events.” Once the employer has submitted its incident investigation report to OSHA, the Agency will evaluate the report to determine whether to conduct an inspection in order to perform its own investigation and root cause analysis of the incident, to verify that the employer has abated the root cause(s) identified in its report by taking the actions indicated, or simply to investigate further. If safety procedures were not being followed, why were they not being followed? If a machine was faulty or a safety device failed, why did it fail? It is common to find factors that contributed to the incident in several of these areas: equipment/machinery, tools, procedures and policies, training or lack of training, work environment. If you identify these factors, try to determine why these factors were not addressed before the incident. Root-cause analysis is by definition designed to uncover management’s shortcomings or deficiencies and, if shared with OSHA, provides a blueprint for citations. Obviously, if an employer provides OSHA with an admission that it was not compliant with an OSHA requirement, or worse, knew before the accident that it was not in compliance, the employer has walked itself into a Serious or even Willful Citation. And, maybe of even greater concern is that these responses to OSHA are discoverable by plaintiffs’ attorneys seeking to circumvent the Workers’ Compensation exclusive remedy bar and sue the employer for an employee’s injury. Once the report is provided, it would be extremely difficult for the employer later to contradict its own statement and successfully contest an OSHA citation for the alleged violation. For this reason, we advise that employers simply respond to OSHA in a letter that addresses the company’s investigation, conclusions, and the corrective action(s) taken. These letters should be very carefully crafted to avoid admissions to the extent possible. We recommend that, in all but the simplest cases, employers carefully review their response letters with upper management and legal counsel prior to submitting them to OSHA, even if an extension of the due date has to be obtained to allow time for such review. In cases of a particularly severe injury, consideration should also be given to retaining an attorney to conduct the accident investigation under the attorney-client and/or attorney work product privileges. And finally, in all cases, it would be wise to prepare for the possibility that OSHA will conduct an on-site inspection in response to the employer’s letter. Joseph Resch, a driver for Krapf's Coaches, Inc. ("KCI"), filed a collective action on behalf of himself and thirty­three other KCI drivers seeking unpaid overtime under the Fair Labor Standards Act of 1938 ("FLSA") and State Wage Act. The Drivers worked more than forty hours in a week without receiving overtime pay because of the Motor Carrier Exemption from overtime under the FLSA. KCI is a motor coach company based in West Chester, Pennsylvania, and has a Transit Division that provides bus and shuttle services on set routes. Since 2009, KCI has operated thirty­two such routes, four of which cross state lines. KCI retained the discretion to assign a driver to any route on which he has been trained, including interstate routes, and to discipline a driver who refuses to drive a route as assigned. KCI requires that each driver possess a Commercial Driver License, provides each driver with a Federal Motor Carrier Safety Regulations Pocketbook detailing the driver's responsibilities under DOT regulations, as well as a separate KCI Handbook making clear that they are expected to meet FMCSA regulations. While the parties to the lawsuit agreed that KCI was a "motor carrier" subject to the DOT's jurisdiction, thus satisfying the first requirement, the real question was whether the drivers—many of whom rarely or never crossed state lines—satisfied the second requirement by being a member of a class of employees engaging "in activities of a character directly affecting the safety of operation of motor vehicles in the transportation . . . of passengers or property" in interstate commerce. 29 C.F.R. § 782.2(a). An employer must always carry the burden of proving a claimed exemption under the FLSA. The DOT has authority over drivers only where the employees regularly travel interstate or reasonably are expected to do interstate driving. The Third Circuit Court of Appeals found that the DOT Motor Carrier exemption applied because the Drivers were training in interstate driving, reasonably could have expected to drive interstate, KCI assigned drivers randomly to that driving, maintained the discretion to assign a driver to an interstate route, 6.9% of all trips drivers took were interstate, as much as 9.7% of the Transit division's annual revenues derived from interstate routes, and KCI always operated at least one interstate route per month. Common Sense Counsel: the Fair Labor Standards Acts exemptions are one of the most complex areas of Labor and Employment Law and the Motor Carrier Exemption is no exception. If you seeking to apply this exemption for overtime pay make sure you have the records and evidence to pass the test. The DOT has authority over drivers only where the employees regularly travel interstate or reasonably are expected to do interstate driving. Because the Drivers were training in interstate driving, reasonably could have expected to drive interstate, assigned drivers randomly to that driving, maintained the discretion to assign a driver to an interstate route, 6.9% of all trips drivers took were interstate, as much as 9.7% of the Transit division's annual revenues derived from interstate routes, and KCI always operated at least one interstate route per month. The Occupational Safety and Health Administration has announced the latest version of a poster specifying workers’ rights and employers’ responsibilities under the Occupational Safety and Health Act. Employers covered by the Act must display the “Job Safety and Health—It's The Law!” poster or face a possible citation and penalty. This is the first poster update since 2007 and includes the new employer obligations for reporting to the Labor Department's Occupational Safety and Health Administration within 24 hours of a worker suffering an amputation, the loss of an eye, or any incident that results in at least one worker being hospitalized. Provide employees a workplace free from recognized hazards. It is illegal to retaliate against an employee for using any of their rights under the law, including raising a health and safety concern with you or with OSHA, or reporting a work-related injury or illness. Comply with all applicable OSHA standards. Report to OSHA all work-related fatalities within 8 hours, and all inpatient hospitalizations, amputations and losses of an eye within 24 hours. Provide required training to all workers in a language and vocabulary they can understand. Prominently display this poster in the workplace. Post OSHA citations at or near the place of the alleged violations. § Order a print copy online from www.OSHA.gov. The English version is publication number 3165. The Spanish version is publication number 3167. § Order a print copy by phone. Call OSHA's toll-free number at 1-800-321-6742 (OSHA) or the OSHA Publications Office at 202-693-1888. § Download a copy from the OSHA Web site. 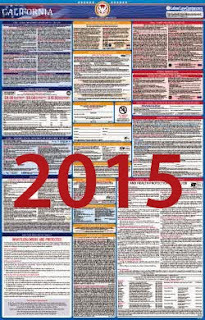 Note: OSHA requires that reproductions or facsimiles of the poster be at least 8.5" x 14" inches with 10 point type. 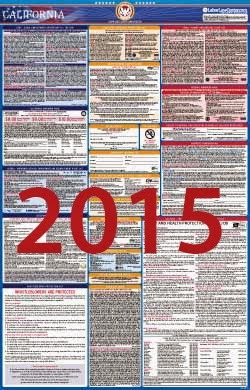 More information on how to obtain the poster is available at https://www.osha.gov/Publications/poster.html with multiple language versions in addition to English available including: Spanish, Polish, Korean and Chinese. Common Sense Counsel: Failure to obtain and post this new OSHA poster in the native language of your employees can be a serious and costly mistake. Failure to make a timely injury report to OSHA as mandated would be your second costly mistake. Failure to train on these new requirements in the language and vocabulary of your workforce, and maintain sign-in records of such, would be your third costly mistake. So do it today and you will avoid be the subject matter of one of my future Columns. The employer community has been waiting for years to receive guidance from the Equal Employment Opportunity Commission on wellness programs and how an employer’s obligations under the Americans with Disabilities Act intersect with its rights and obligations under the Health Insurance Portability and Accountability Act (as amended by the Affordable Care Act). As employer wellness programs have become more popular, many employers began offering specific rewards or penalties to employees based on whether they participated in the programs and even on whether they achieved certain “results.” The HIPAA and the ACA specifically authorize wellness programs to offer incentives but it was possible that an employer could offer a wellness program that was authorized and lawful under the HIPAA/ACA but still be vulnerable to charges and lawsuits under the ADA. The EEOC’s proposed rule seeks to address this problem, and for the most part, it should be welcomed by employers who offer wellness programs. What does the proposed rule say, in a nutshell? The proposed rule says that a wellness program can still be “voluntary” for ADA purposes if the program provides “incentives” for employees (both rewards and penalties), as long as the employer complies with the wellness incentive requirements of the HIPAA/Affordable Care Act. There are two caveats: The wellness program would have to be associated with a group health plan (either insured or self-insured), and the EEOC proposals do not exactly match the HIPAA/ACA rules, although they are reasonably close. Under the HIPAA/ACA scheme, there are two types of wellness programs. A “participatory” program is one that rewards employees just for participating and does not require a specific goal to be met. (An example would be an employer who reimburses employees for fitness club memberships.) Under the HIPAA/ACA, participatory programs can be offered without limitation, as long as they’re available to all similarly situated individuals. The other type of wellness program is a “health-contingent” program. There are two types of “health-contingent” programs: (1) activity-only programs, in which the employee is rewarded for completing an activity but doesn’t have to achieve or maintain an outcome (for example, “we’ll pay you $100 if you walk a mile three days a week for a year”); and (2) outcome-based programs, in which employees are rewarded for achieving or maintaining results (for example, “we’ll pay you $100 if you keep your BMI at or below 25 for a year, or if you quit smoking”). The total reward offered doesn’t exceed 30 percent of the total cost of employee-only coverage under the plan or the total cost of family coverage if dependents are also allowed to participate in the program ("total" means the employee’s and the employer’s share). The percentage is up to 50 percent for tobacco prevention or cessation.